of revelation we were not smart enough to see. However, the process, if we can call it that, for art as well as for science, is fundamentally the same, despite the obvious – that the results differ in form. Of Copernicus’ thesis that the Earth moved around the Sun, renowned mathematician, natural scientist and writer Jacob Bronowski asks, When did Copernicus go out and record this fact with his camera? What appearance in nature prompted his outrageous guess? 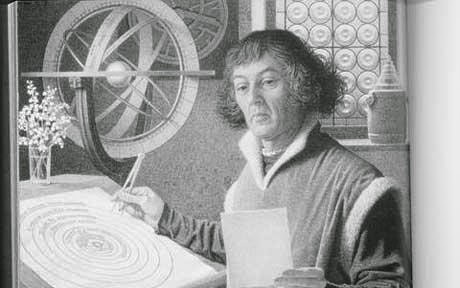 And in what odd sense is this guess to be called a neutral record of fact?” When Copernicus wrote, “The Earth conceives from the Sun,” he could not have concluded this by filling endless notebooks with myriad routine calculations. First he had to make the giant leap of imagination that would catapult his focus to the Sun, from whose perspective the orbits of the planets seemed simpler, more logical. C.P. Snow described art and science as two distinct and separate cultures despite the fact that he lived in each. As both a scientist and a writer, with 11 novels to his credit, he insisted that “in the process of making a discovery, however humble it is, one can’t help feeling an awareness of beauty.” The subjective experience, the aesthetic satisfaction, seems exactly the same as the satisfaction one gets from writing a poem or a novel, or composing a piece of music.” I would also challenge that one surpasses the other in universal beauty. process thinking of the unconscious that scans a million possibilities and then projects the missing order into reality. Neither artists nor scientists own the territory of creativity. Each is blessed with a gift that enhances and advances the world.